It is Monday evening. I am sitting in a circle with two of my sister friends on my living room floor. There are smells of food being prepared and the sky is a beautiful blue. But we’re not reminiscing our summer’s adventures; we’re checking on comrades in Ferguson and recounting our experience in Cleveland where several of us were pepper sprayed by police. One sister recounts the feeling of not being able to breathe. “Just after hugging people who were sprayed my skin was burning for days,” says my other friend. On the anniversary of the murder of Mike Brown and as a Black woman of only twenty-five this evening has become a part of my new normal. Our greatest concern is why this normalcy is met with acceptance. 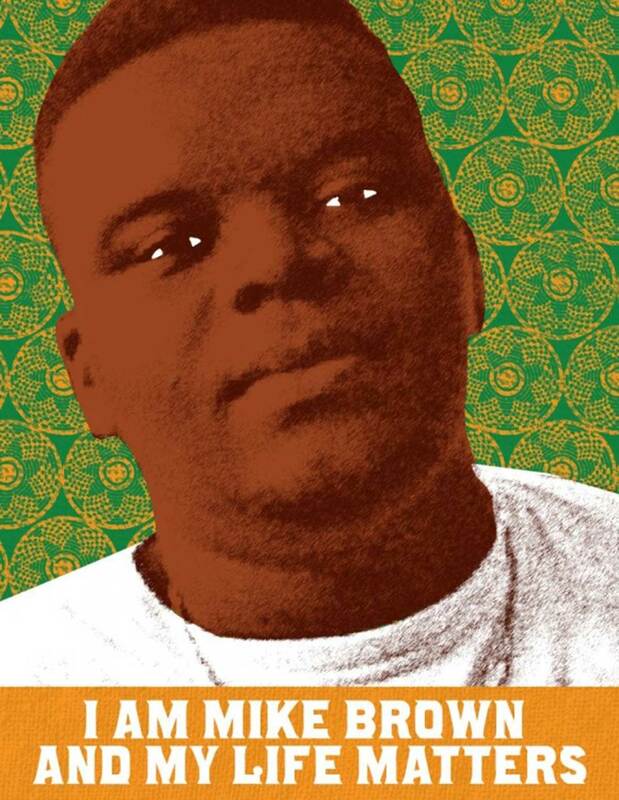 The image of Mike Brown lying in the street burned in my brain as if I was watching an Alfred Hitchcock film. I remember my shock and disbelief and awaited what I knew would be outrage en masse. In the coming days, weeks, and months though, all debate centered around the activities leading up to his death rather than the injustice of it. America needed a reason to justify an evil that would indict an entire system, another band aid to cover a festering wound. Mike Brown’s life had become an equation; a sum of his respectable parts minus any mainstream missteps to determine his right to equality. Four and a half hours left in the street gave view to an enduring truth in America that police are beyond accountability. Once this narrative had been set young Black folks set out to counter it through media, direct action, political education, and radical Black love and healing. Two weeks ago Black organizers gathered to heal, strategize, and exist in a Black space at the Black Lives Matter convening in Cleveland, Ohio. That last component of the weekend—existing in a Black space—was essential, as all Black folks experienced a shrinking of hope after the Charleston shooting, Sandra Bland’s death in a Texas jail cell and the consequent media misdirection over the causes of these tragedies. The first convening of its kind was centered on this moment of resisting an anti-Black state where Black livelihood in all respects is under fire by the police state. Over the course of the weekend participants shared knowledge and experience in workshops, grounded themselves in meditative and physical activities, and built community in the general assemblies held daily. Workshop sessions ran across topics centered on building a new Black experience much different from the world we know today. I continually felt a sense of connection to history and past resistance movements as these events and actors were continually lifted up in formal and informal ways. It was as if our very presence together was changing the environment and hope was being rebuilt in sharing a common understanding of the world around us. We all understood the same problem and, on a basic level, the urgency around our next steps. We’d traveled miles and gathered resources to find a way to disrupt what was becoming way too normal: living in fear in our own communities wearing our skin. Sunday, the final day of the convening, a sobering moment took place when participants of the convening witnessed the arrest of a young Black boy and asked questions. The youth was an apparent minor and was being taken by several men in handcuffs to their patrol car. As folks asked about the reason for arrest and if the youth’s parents had been contacted the police refused any information. The police continued to push the youth inside the vehicle intending to pull away from the then-small crowd. What I witnessed next was the most beautiful expression of community I’d seen. People began to record the incident on their phones and those closest to the vehicle stood around it linked arm in arm. Unable to move the vehicle, officers barked at the crowd and when no one moved one officer sprayed pepper spray aimlessly into the crowd. I heard cries of pain and saw some of my friends and new peers on their knees in tears, some from the spray and others from utter shock and hurt. A second round of pepper spray went into the crowd and people were visibly affected but kept running back to fill in the circle of arms. While there were shouts against the police enacting this unnecessary violence it did not feel like the circle around the vehicle was rooted in opposition. It felt more like a statement rooted in love and protection for the young Black boy who otherwise would be left to the police alone. This felt like a statement of setting the dynamic of power in balance, we would not allow police to be lawless in our presence. On another day in another place this would just be “normal,” but on this day there were enough of us dissatisfied and unable to support this police action as normal, right, or okay. Back in Chicago, I am sitting with the same sister friends but now we’re in a meeting about an upcoming action. We are preparing for our action at the Police Board hearing where we demand that the Chicago Police Department fires Dante Servin for the murder of Rekia Boyd. We have been attending the Police Board hearing each month with this demand and our testimonies to the many cases of police violence that have gone unaddressed. One year after Mike Brown we have lost many lives to police violence and with each passing hashtag have lost a bit of hope. What we have gained is an analysis that rejects the normalcy of trending new hashtags for lost lives and recognizes the inherent dysfunction of a system that takes away these lives. Black Lives Matter, incarceration, police brutality, racism, school-to-prison pipeline. Bookmark.